A time of rebirth, joy, and renewal. When the last frost of Winter has finally past, the breezey, warm time of Spring is ready to unearth from the snow. Well, normally. 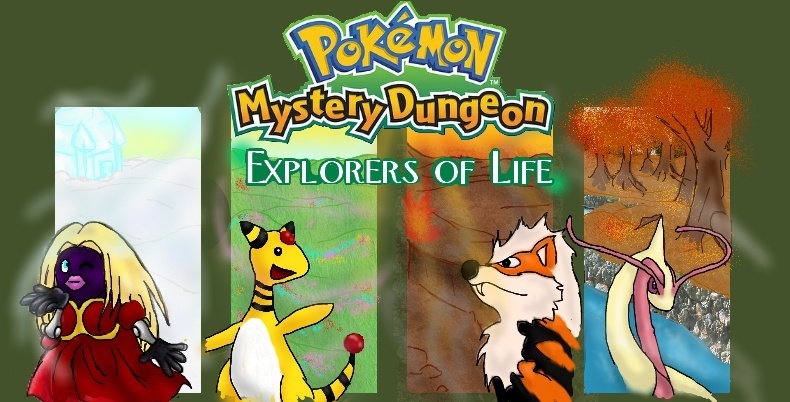 But not in the world of Pokemon Mystery Dungeon: Life. Spring is always here. All you have to do is travel East. Once you get past The City of Life, things start to change. The air is tinted with honey, the scents are much more pleasant, and the flora is overgrown to the point that a good Fire-type may be needed for some yardwork. Few Pokemon live in the village, as most prefer the rural scenes of the forests and moor. Mayor Lopunny governs the Eastern World democratically, making sure every Pokemon gets their say. There are several lively bodies of water, but not nearly as many as the Summer has (excluding the Summer's Ocean). There are four common types that are found, and born, almost exclusively in the Eastern Region. These are the Electric type, the Normal type, the Bug type, and the Grass Type. While the climate is normally sunny and a little humid, Spring gets it's fair number of rain showers and the occasional thunderstorm. They are closest, politically, with the Pokemon of the Southern Region. 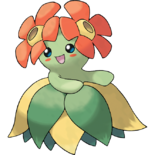 Once a year, the Bellossom of the Eastern Region travel there to perform a Rain Dance, because, while the South is filled with thunderstorms, they hardly ever get rain and appreciate the, however unnecessary, tradition. The Guild of Blossoming Fields is a strong, naturally encased fortress that burrows underneath the ground, and has the most magnificient botanic gardens anywhere in the world. Chandler, a ditzy, yet extraordinarily powerful, Ampharos, is the leader and guildmaster of the Guild of Blossoming Fields. There, where activities are taken care of by his assistant, Azalea the Bellossom, the guild-members partake in gardening, the arts, being generous, and normally going after the most least-rewarded missions, that normally involve saving a small, weak Pokemon. Rumored that the Pokemon God, Arceus, lies dormant in a remote area of the Eastern Region. However, this is not confirmed.